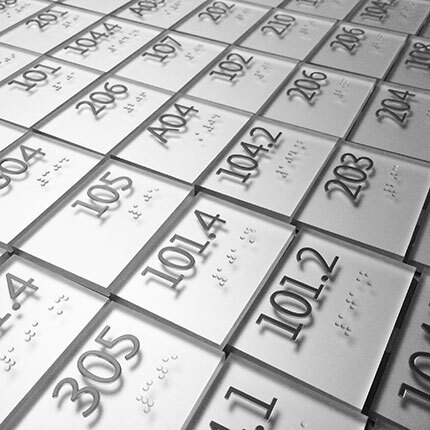 We specialize in producing the cleanest and most detailed thermoformed ADA compliant signage in the industry. Crisp letter-forms, sharp contrast and consistent attention to detail are the cornerstones of our signs. 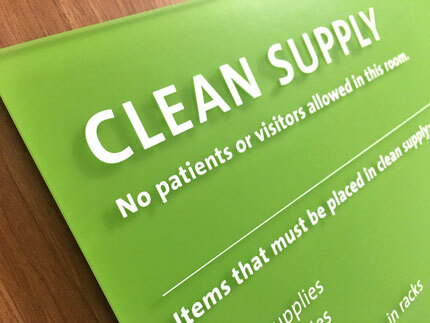 Health care and educational institutions have found great success in utilizing thermoforming for its sustained durability even with daily chemical cleaning.